Autumn is here. Leaves are spinning and dancing their way to the earth in droves. Piles accumulate roadside, their brilliant colors daring snowdrifts to replace them. I stare out the window, a thrill rippling along my spine. I can’t justify the excitement I feel, as I watch nature lower her curtain. I don’t understand why the chill air heightens an inexplicable optimism inside of me. But whatever the cause, I welcome it gladly. Like a caterpillar, I’m compelled to cocoon and prepare my soul for change. Powerful change. And by this time of year, as the seasons wind down, I’m ready. We stand around the blazing fire at the pit out back, faith rekindles inside me, a bright burning flame to replace the embers of summer. David slips his arm around my shoulders. I feel the beat of my husband’s heart in his chest, and add that sensation to the hundreds of others for which I’m grateful. My nesting instinct goes into overdrive, and my priorities flip like flapjacks on a hot griddle. Baking, cooking, and crafts become more than pastimes, taking on an almost urgent quality. And through it all, a stronger need anchors me—an overarching desire to spend time with loved ones, to share meals and conversation. And hugs—lots of hugs. Whether family by chance or by choice, I crave to draw them near. This quickening only happens to me during autumn, descending on my soul, as comforting as warm maple syrup. I come alive, knowing what’s ahead—another year of surprises, blessings and challenges. The adventures of the unknown are what make up life, and I smile in anticipation.But for now, we gather and share our time, our hopes and dreams for the future. And as we wait, we rest in each other’s presence, safe and warm. Expectant. Thanks, Debbie. It means so much to me that you liked it. I was thinking last week that you’ve known me longer than anyone outside my family. Isn’t that amazing? This is beautiful and speaks to my heart, Heidi. I love Fall and feel a similar sense of comfort and peace and the joy of having loved ones near (family or friends). Your words painted lovely pictures. Thanks, Cris. I’m glad you enjoyed this post, and especially glad we have yet another thin in common! I am so proud to have a Mom like you! You are simply brilliant with words. You paints in the imagination what most artists only hope to put on paper. Thank you so much for sharing your gift, and for bringing light into the world. 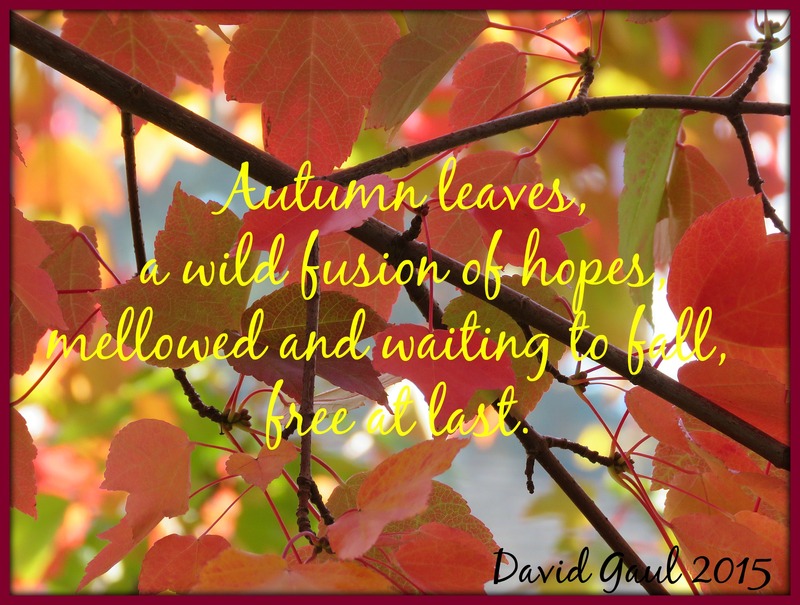 This blog just made me realized that I used to look at fall as a nice time of year and appreciate it for what was happening in the world around me, but now that I have lived more years, I enjoy it for the changes it brings within me. I couldn’t I’ll be happier to have you as a mom, and the best friend. I love you so much. Thank you, Christina! You are one of the greatest blessings God has ever graced me with! Love you! Thank you so much, Xochi! That’s exactly what I was hoping for! Beautiful post, Heidi. You’ve given me the cozy family feeling to start my weekend off with. Thank you. Glad you liked it Wendy. Have a great weekend!